30% off at TinyPrints.com – SITEWIDE!! Today and tomorrow only!! I just ordered my pictures as I always do around Thanksgiving so it was awesome to get 30% off! They seriously only do a 30% off code once a year and it’s today only so if you grabbed great holiday picts of your kids and family, now is the time to get ordering! 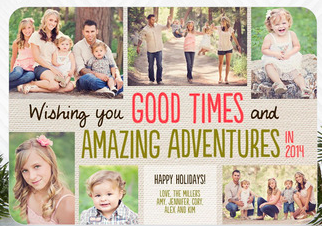 Use coupon code BF13 to get 30% off at TinyPrints.com – offer expires at 11:59 pm PT on December 1st. There is no minimum purchase required.